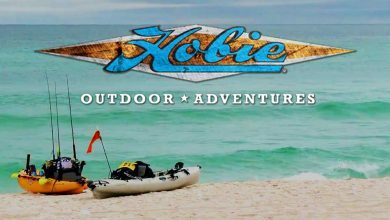 Hobie's Morgan Promnitz heads out to Panama, where he fishes the Wild Coast shoreline with pals Ross Gallagher and Sam Root. There are plenty of exotic species to be found and Sam catches his first Rainbow Runner and Roosterfish. Yellowfin Tuna and Pompano are also in abundance so no prizes for guessing what's on the menu for the evening meal. 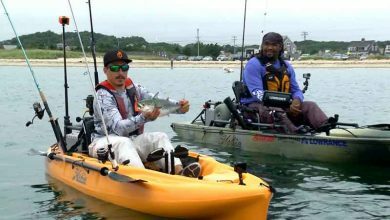 Hobie's Kevin Nakada visits Cape Cod for some excellent shoreline fishing in his kayak. 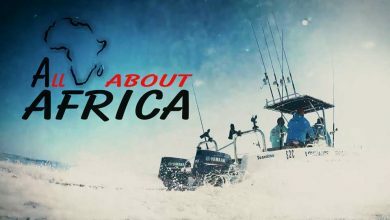 Local expert Shawn Barham puts him on to a variety of species including some impressive Albacore, whilst Eric Harrison helps him find Striped Bass. Theres also a homage to the legendary Lefty Kreh and a look at the conservation work that is helping to restore his beloved Back Bay on the coast of Virginia. 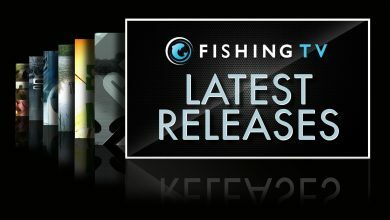 Whether you’re a fishing ace, an amateur angler or just love a bit of fishy fun, the second series of New Zealand's popular competitive fishing show, GET YOUR FISH ON will have you hooked all over again, so join us as we cast off.Each episode our host Mandy Kupenga teams up with a fishing buddy to take on the local blokes at some of the country’s best fishing spots.And for this series we’ve upped the ante; its bigger fish, bigger challenges and some big, big personalities thrown in for good measure. But some things are too good to change; the losing team still has to cook for the victors so there’s a tasty new seafood recipe at the end of each show.Travelling to some of our NZ's iconic fishing locations you’ll hear loads of tall tales and top fishing tips too, as Mandy and the show’s on-board experts share their knowledge; from the best rigs for targeting specific fish, through to the best spots and times to find them.Tune in for a fishing show that’s fun for the whanau and the hard-core fishing fanatic too. 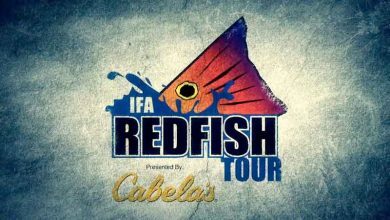 The Inshore Fishing Association presents The IFA Redfish Tour presented by Cabela's. The IFA is the largest and oldest Redfish tour in the nation with over 40 events annually in a variety of locations for anglers to compete in from Texas to the Carolinas. Here is a selection of some of the events from the 2017 and 2018 seasons. 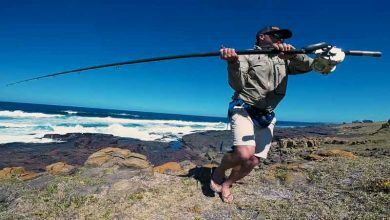 More great action from expert angler Mark De La Hey as visits fantastic locations along the stunning coast of eastern South Africa and Mozambique. 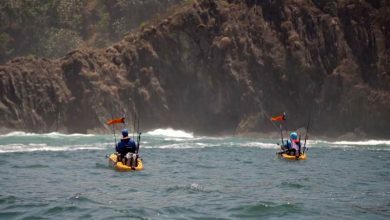 He shares his fishing expertise offering tips and advice on... how to target monster sharks at long range from the shore, how to use large soft lures with jig heads and he demonstrates the art of offshore kayak fishing... and much much more. Join us as we follow passionate angler, Mandy Kupenga as she heads out to some of the best fishing spots around New Zealand to take on local men in a no holds barred fishing contest. Keep watching to see whose man enough to take on Mandy. 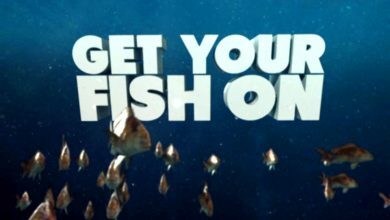 This is Get Your Fish On. 13 episode series. 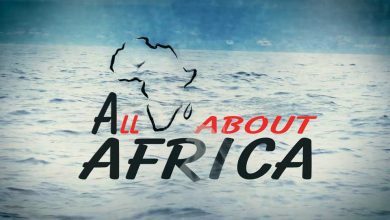 Mark De la Hey is joined by two friends from the Seychelles, Kyle Simpson and Wesley Rapson, for a trip to Mazeppa Bay on South Africa's Wild Coast. The guys are targeting large sharks from the shoreline rocks, using drones to deliver the hook and bait. They obviously know what they are doing as a 300kg monster is pulled in. Expert angler Mark De La Hey visits a number of fantastic locations along the stunning coast of eastern South Africa. He shares his fishing expertise offering tips and advice on... where and when to rock and surf fish from the beach, how to avoid sharks hitting your gamefish, options when targeting Yellowfin Tuna... and much much more. The waters off the South Coast of Kwazulu Natal provide rich pickings as the migrating game fish arrive. 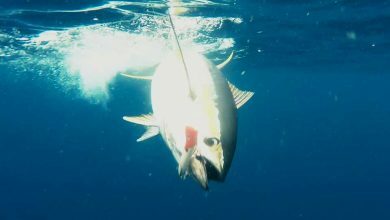 Host Mark De La Hey with skipper PJ Botha target the Yellowfin Tuna to be found around the local wrecks, but although their jigs and live baits prove to be successful, their efforts attract the interest of some hungry sharks. By keeping on the move, they are finally rewarded. 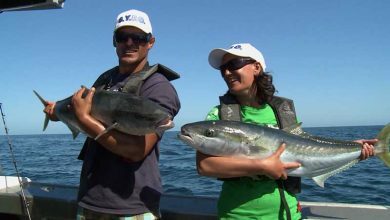 Mandy Kupenga opens up the series with a challenge on the Coromandel to target the legendary Kingfish - a fish that always brings the fight. Joining her team on this episode is Princess Wirihana as they face off against Richmond Hollis and former All Blacks player, Tanerau Latimer. With the longest fish caught being the deciding factor, who will prevail in this all action contest with the losers having to cook up dinner. One of Mark De La Hey's favourite locations is Cape Vidal in Eastern South Africa and its easy to understand why. 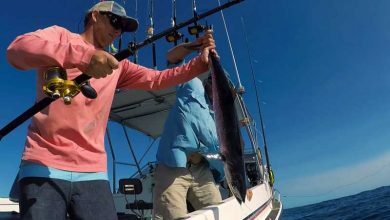 It offers a great variety of excellent saltwater fishing - with King Mackerel, Oceanic Tuna, and Bull Sharks just a few of the species to be had. 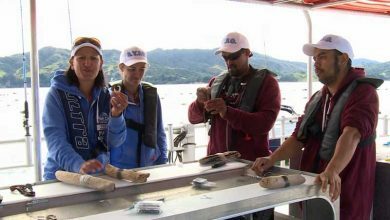 In this episode the team's fishing skills are tested to the limit as they battle it out using basic fishing equipment, in the rich waters of the Coromandel. The teams face a series of time trial challenges and begin fishing around the famous mussel barges of the area where many fish congregate to take advantage of the burly trail which appears as the mussels are harvested. 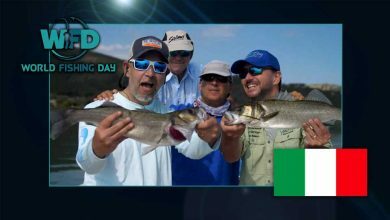 Watch Vito Rubino and pro guide Paul Halvenwang as they present the Italian leg of World Fishing Day. The crew head out into Orbetello lagoon, a natural paradise in the Tuscany region, in search of sea bass using both spinning and fly fishing gear. Can they deliver the goods and catch a sea bass live on camera?